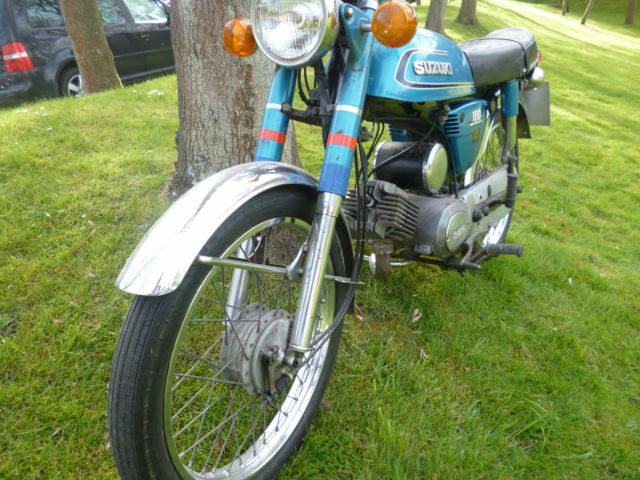 Description SUZUKI A100 1978 ORIGINAL UNRESTORED. 15,000 MILES. 3 OWNERS. 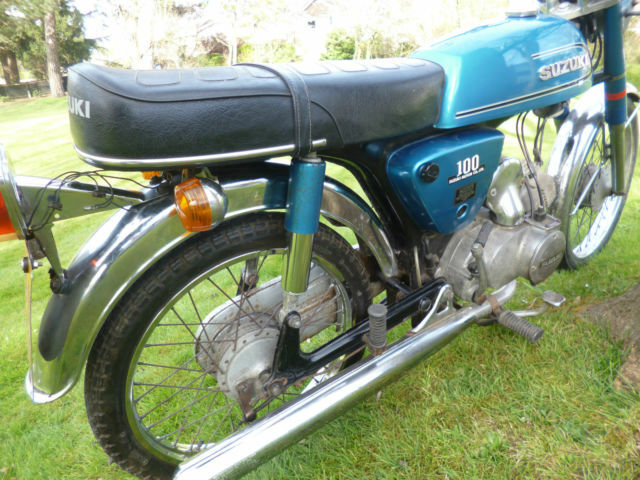 SUZUKI A100. 1978. 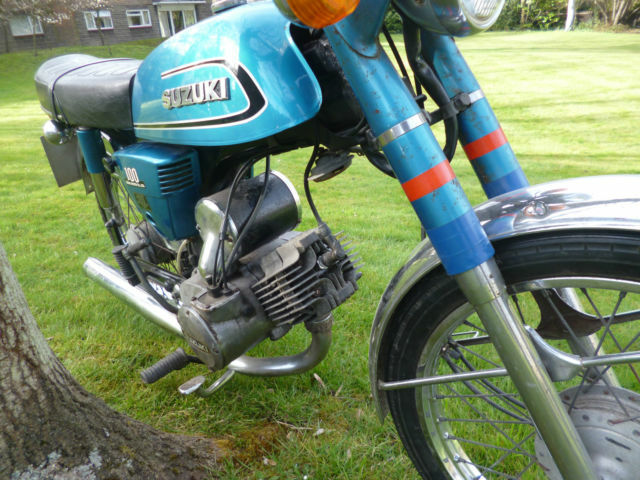 ORIGINAL AND UNRESTORED. BEEN IN STORE SINCE 2008. SOME OLD MOTS TO PROVE : 2005 - 2006 15,064. 2006 - 2007 15,222. 2007 - 2008 15,243. 2 KEYS AND V5 LOGBOOK. 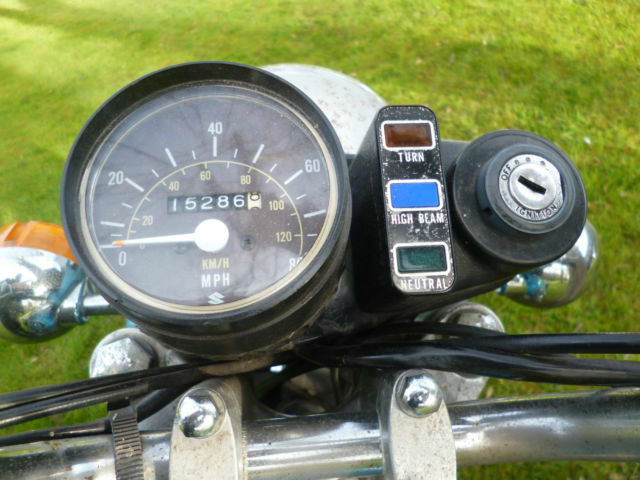 IT HAS A NICE HELMET HOLDER, KEY OPERATED LOCK ON THE HANDLEBARS BY THE RIGHT HAND MIRROR. 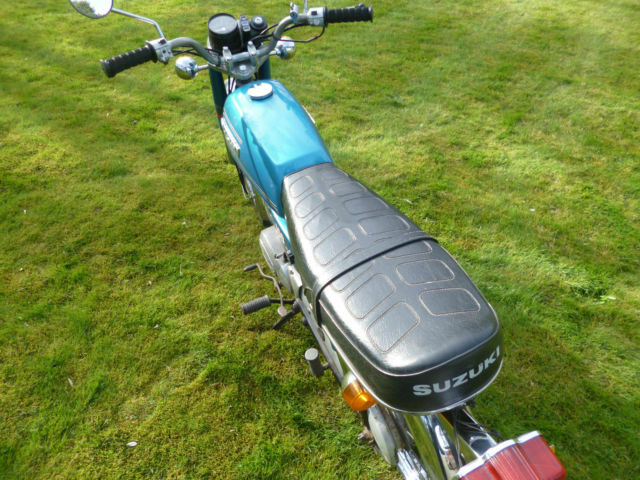 TOTALLY ORIGINAL, ORIGINAL GRIPS, MIRRORS, NO SIGN OF EVER BEING DROPPED, FOOT RESTS ETC UNMARKED. 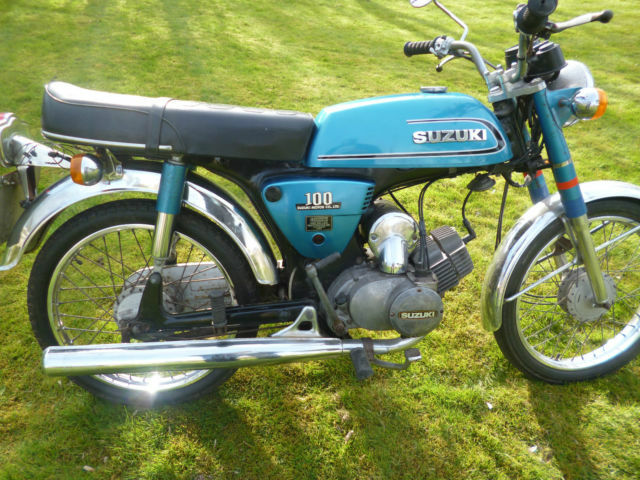 PERFECT TO EITHER ENJOY AS IS, OR RESTORE. 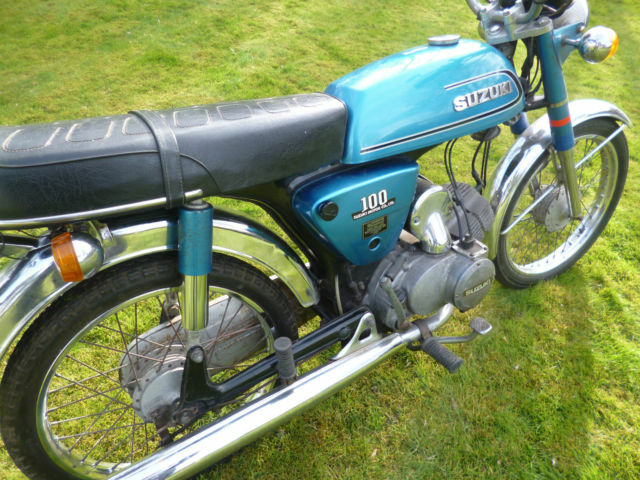 HAS SOME RUST AND TATTY BITS BUT GENERALLY IN GOOD CONDITION. SEAT IS HAS NO RIPS OR TEARS. SOLID BASE. 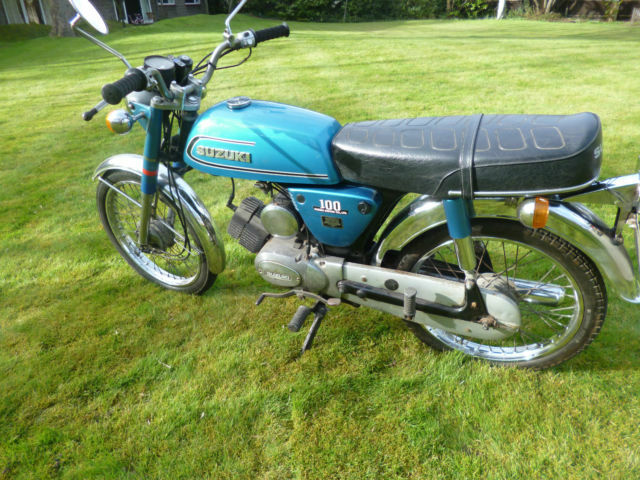 GOOD ORIGINAL TYRES WITH NO CRACKING. 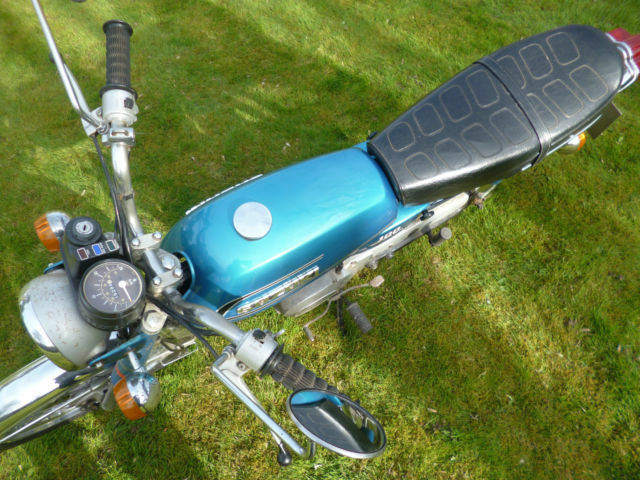 LITTLE DINK DENT IN FRONT MUDGUARD SHOWN IN PICS. 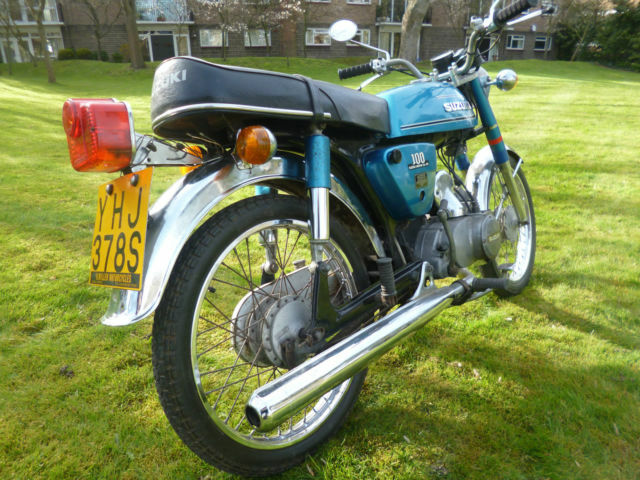 EXHAUST SOLID BUT RUST ON THE INNER SIDE WHERE YOU CANT SEE IT. TANK NEEDED A GOOD CLEAN OUT SEEMS OK NOW. PICTURES TAKEN WITH THE BACK LIGHT AND INDICATOR WIRES NOT CONNECTED. NOW CONNECTED AND TUCKED BACK OUT OF SIGHT. COME AND VIEW IN BECKENHAM KENT BR3. I AM NOT AVAILABLE FROM 25 TO 31 MAY BUT ON EMAIL. 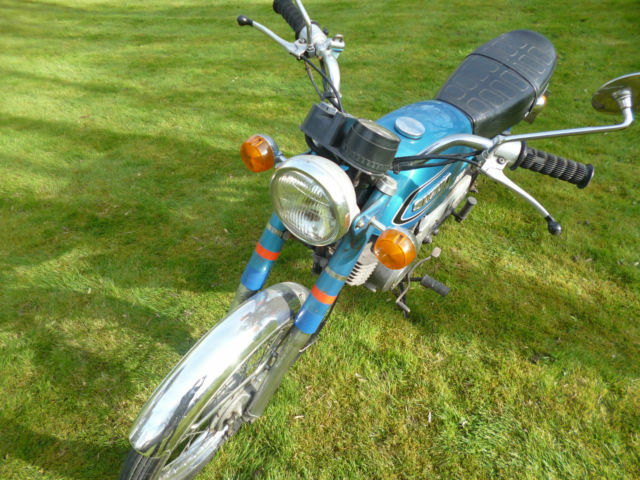 MUST GO SO MAKE AN OFFER? CAN DELIVER IF PRICE AGREED UP FRONT. 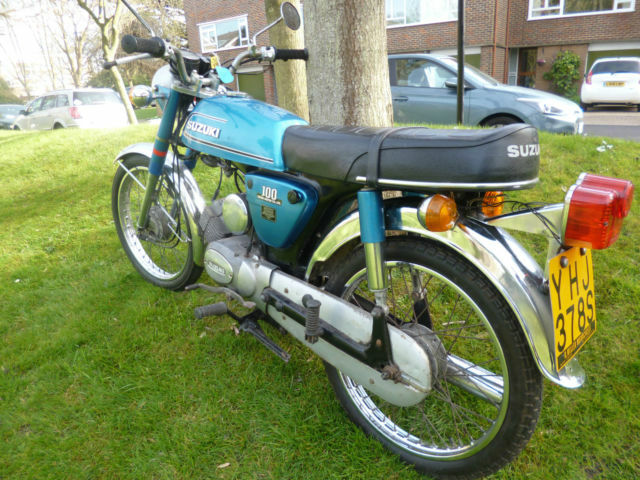 Reviews and comments for SUZUKI A100 1978 ORIGINAL UNRESTORED. 15,000 MILES. 3 OWNERS.